MW1 cs White Lightning -One Case of 12 32oz. 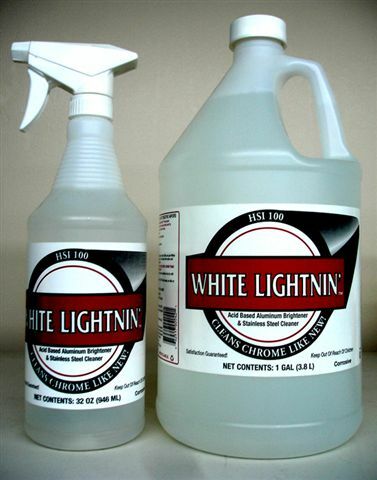 Spray Bottles - Hunter's Sales, Inc.
White Lightnin' Aluminum Brightener and Stainless Steel Cleaner is an acid based cleaner. Not to be used on polished aluminum. Product can not be shipped by UPS.